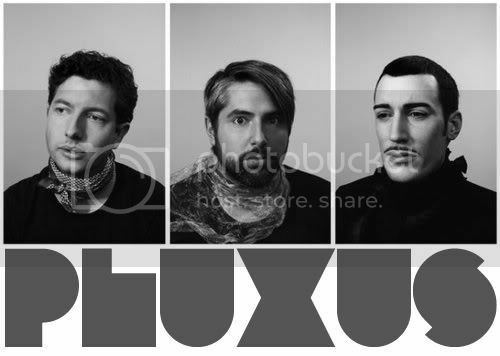 The music of Swedish electro trio, Pluxus, doesn’t really make up for conventional listening. But I’ve always taken a liking in advert music, particularly when they’re able to thrust forth unfamiliar names into the spotlight. So when the new ad campaign for Ford Fiesta picked up ‘Transient’ by Pluxus, it managed to put my attention on hold and had me immediately intrigued. The ad is perfectly put together, displaying some of the most remarkable, state of the art stop-motion visuals that you’ve ever set eyes on. What ‘Transient’ was able to do was firmly install the whole cold, sparse, steely vibe of the video into visual veracity. Opener ‘Transient’ sets an immediate tone that far from deviates from the remainder of the record, expands, fleshes out, colours in and builds upon. The track is all scratchy swathes of feedback, gentle keyboard lines, aching string breakdowns and persistent percussion layered with electronic modulation. ‘Transient’ as well as other noteworthy tracks, are made available on the re-release of 2006’s Solid State.